NexGuard, a Kudelski Group company and the leading provider of forensic watermarking technology and solutions, has announced their Network ID product which will be launched as a technology partnership with Ericsson at IBC 2017 (Amsterdam, The Netherlands on September 14-19, 2017). NexGuard’s Network ID solution inserts a unique invisible and robust forensic watermark in primary distribution feeds for linear TV, be it satellite or fiber. The watermark provides clear evidence of the distribution path to determine the source of illegally distributed signals (e.g., for live sports broadcasts). This allows the content owner to focus their anti-piracy efforts on the sources of significant piracy. The Network ID watermark also serves as proof of ownership to enable the take down of pirated streams (e.g. from social media). NexGuard forensic watermarking adds a unique, invisible identifier to video content. The watermark remains with the content, even in the case of transcoding, resizing, downscaling, recording by camcorder or any other alteration before illegal re-distribution. The Network ID watermark can be detected through the NexGuard online detection portal, a scalable, automated detection service. As a complement to Network ID, NexGuard’s sister company NAGRA offers a comprehensive set of global anti-piracy monitoring & take-down services for Web, IPTV/Kodi and social media piracy. The Network ID solution has been designed for today’s global mission critical broadcast systems and has already been integrated with Ericsson’s RX8200 Advanced Modular Receiver for satellite distribution applications. The RX8200 Advanced Modular Receiver is the world’s bestselling IRD. Now with DVB-S2X and HEVC upgradeability, it is also the most future-proof. Broadcasters need to deploy receivers for many different tasks in many different operational circumstances. Ericsson’s RX8200 receiver offers ultimate operational flexibility by providing capability for decoding of all video formats, all video compression formats and total connectivity for all transmission mediums via a comprehensive choice of options. Maurice van Riek, Kudelski Group SVP Content and Asset Security, said that tracing illicit content activity is a necessary and critical first step in fighting today’s greatest piracy challenges, such as the illegal re-distribution of live sports. NexGuard is working with Ericsson to provide a solution that is pre-integrated with today’s TV and Media industry workflows. Network ID offers a clear indication of the sources of piracy, so that rights holders can focus their anti-piracy efforts where it matters. 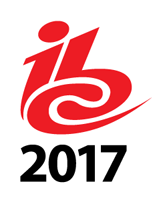 Network ID will make its debut at IBC 2017 via demos hosted on NAGRA and NexGuard stand #1.C81, and Ericsson stand #1.D61.